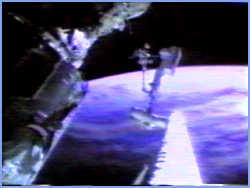 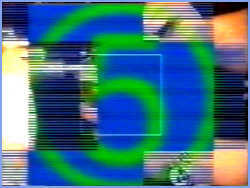 The opening titles for a short bullitin. 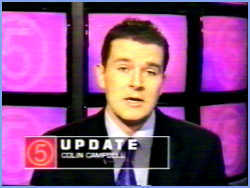 And the end of a news update. 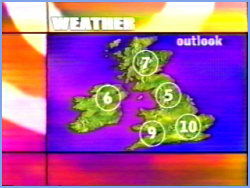 A typical aston, andf graphics from the start of an update showing presenters name etc. A wide shot of the set, and example of weather graphics from the update bulitins. 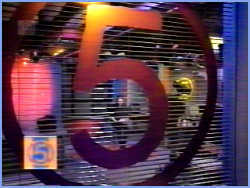 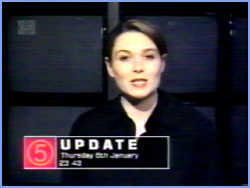 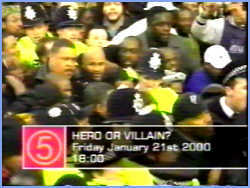 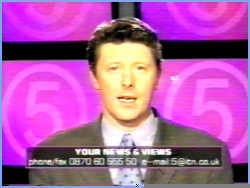 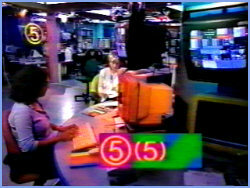 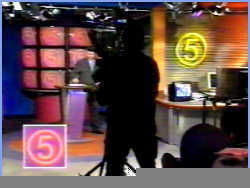 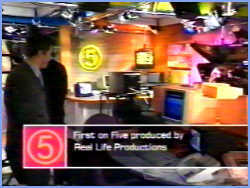 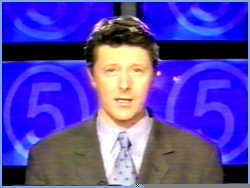 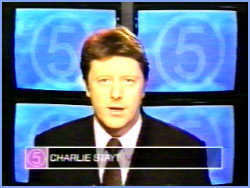 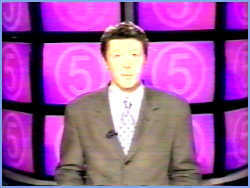 The news, now at 8 for the last programme from the 'newsroom' set on Friday January 21st 2000. 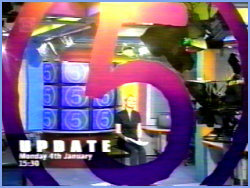 And the closing from that last programme as Charlie wounders off, oh and a bit of Andrea in the new studio. 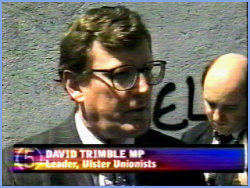 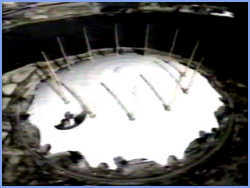 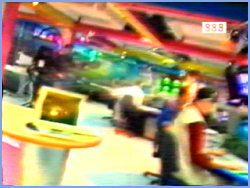 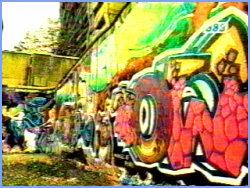 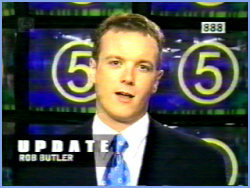 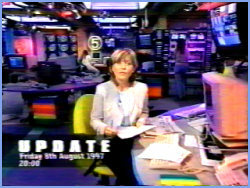 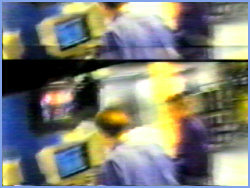 The opening titles for a news update in 1999/2000. 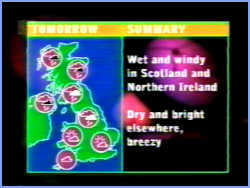 Update aston, typical aston and update weather graphics.